In early 2013, an incident involving a 9-year-old boy named Yunus led to a rapid escalation in tensions between The Netherlands and Turkey. Yunus was born to Turkish parents living in Rotterdam. He was taken away from his parents when he was 6 months old by the Dutch Child Welfare Department after evidence of severe mistreatment. The decision was not taken lightly. Removing a child from his parents is a measure of the last resort. 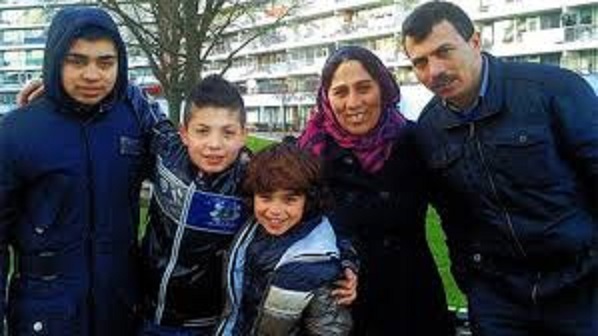 The parents of Yunus were, like many of the Turks who have immigrated to The Netherlands, poor, semi-literate, and hailing from a conservative, traditional village in an outlying area of Anatolia. Yunus was placed in the care of a lesbian couple. There were no Turkish foster parents available. In The Netherlands, gays have the same rights as heterosexuals – and this includes the right to get married, adopt children and, as in this case, to serve as foster parents. So Yunus was taken away from his biological parents when he was six months old and raised by a lesbian couple. The women who cared for Yunus were sensitive to his cultural origins. They learnt Turkish. Every summer they took him on vacation to Turkey. They also regularly took him to meet his biological parents and his two brothers (who had also been removed from their parents’ care and later returned after the parents were able to show that they could care for them). In the care of the two Dutch lesbians, Yunus did not fare badly. Had he stayed with his biological parents, his prospects in later life might have been considerably worse. As the statistics show, the children of parents with a low education/skills level and, belonging to a non-western culture are greatly over represented in the ranks of those young people who drop out of the education system, end up in low paying jobs or on unemployment benefits – and in the case of the young men, entering the crime statistics. To this very day this bitter socio-economic reality bedevils the Dutch multicultural society (and not just the Dutch) and has led to endless discussions and debates. In other words: the Yunus raised by his lesbian foster parents had a far better chance of getting a good education and aspiring to a good job than if he had remained with his biological parents. Furthermore, that same Yunus had all sorts of horizons opened to him which he would not have otherwise experienced: fluent in Dutch and Turkish, he was on course to becoming a truly multicultural citizen and a bridge between two very different cultures. However not everyone was positive about the prospect of a boy born to Turkish parents becoming a multicultural citizen. One of them was Recep Erdogan, the Prime Minister of Turkey. The biological parents of Yunus decided that they wanted to get him him back. They were not content with him visiting them regularly. They evidently weren’t too concerned about his wishes in the matter either. Instead of going through the Dutch courts, they decided on another tactic. They flew to Turkey and lodged a complaint with the Erdogan government. Their hope was that Erdogan would then put pressure on the Dutch government to have Yunus returned to them. In the past, a tactic like this would have had little chance of success. A Turkish Prime Minister would have regarded the affair as an internal matter for the Dutch. But things had changed in Turkey and changed very much thanks to Erdogan. Recep Erdogan was the leader of the Turkish Islamic fundamentalist party (the AKP). He was not interested in diplomatic protocol or international conventions. He was an authoritarian xenophobe who had transformed the Turkish political scene by systematically dismantling the secular heritage of Kemal Attaturk. He had steered Turkey away from its western liberal democratic course and aligned it with the reactionary regimes in the Middle East, Saudi Arabia in particular. His vote bank lay outside the big cities – such as Istanbul – and in the rural areas inhabited by people like the parents of Yunus; people with a low education and low skills, steeped in conservative, traditional values. In the cities, where there was a large, educated, middle class, there was far less support for an Islamist party, but these people comprised only a small minority of the overall population. The rural Erdogan supporters were far more numerous and had large families. It was a demographic dynamic which meant that Turkey was a deeply divided nation and which later, in June 2013, led to weeks of demonstrations by the young people in the big cities. These demonstrations were ruthlessly repressed. The police, freed of any of the restrictions placed upon them in a normal democracy, beat the demonstrators, killing several of them and wounding hundreds. Tear gas was used on mass scale; thousands of people were rounded up and jailed. Amongst the prisoners were the lawyers who had tried to defend the protestors in court and journalists whose reporting was considered insufficiently sympathetic to Erdogan. Under Erdogan, the Turkish jail system became a growth sector par excellence; Turkey could boast of having more prisoners per head of population than any other country in the world. One crime which many people found themselves charged with was ‘offending the Turkish Motherland’ i.e. Erdogan and his Islamic party. Their ranks included a leading Turkish pianist (he made fun of the Islamic fundamentalists on Twitter) and the Nobel prize-winning novelist Orhan Pamuk. In Turkey, the wave of rural based populism which brought Erdogan to office was actively encouraged by his allies in the media. Close on the heels of this populism was a new mood of chauvinism. This was encouraged by certain sections of the media. The film industry got involved also. Films glorifying the Ottomans and depicting the victorious armies of Islam defeating the Christians were churned out and were enormously successful in Turkish cinemas; they were also watched avidly by young Turks living in Europe. To say that these films were unsophisticated is considerable understatement. They were something close to the kind of propaganda movies produced by the Nazis in the 1930’s. This unprecedented wave of xenophobia was accompanied by a wave of not only anti-western sentiment but also a campaign of virulent anti-Semitism. A week before the Yunus controversy appeared on the horizon, a Dutch social research institute sounded the alarm bell with respect to the widespread anti-Semitism – and corresponding hero-worship of Hitler – among young Dutch-Turks. The main reason cited for this development was because most Turks watched Turkish TV – and in Erdogan’s Turkey, Jews were portrayed as monsters. Erdogan had a long history of anti-Semitism, one which began long before he entered politics. Like the anti-Semitists all over the Middle East, he believed that the Jews controlled America and Europe and were conspiring to bring about the downfall of Islam. Being a hidebound anti-Semitist certainly didn’t harm Erdogan’s relations with the Saudis. In Prime Minister Erdogan the parents of Yunus found a highly receptive audience. This was hardly surprising. In the concept of a Turkish born child becoming someone who was multicultural, a person with two identities, Erdogan and his supporters saw a threat. Identity, as a Turk and a Moslem, was something which needed constant vigilance both at home and abroad. In the western multicultural society, the westerners believed in multiculturalism, in being open to other cultures and open to the idea of mixed marriages and dual identities. Erdogan and his supporters regarded this as sacrilege; they demanded ‘the right’ of their compatriots in Europe to live as a monoculture, a segregated group inoculated against the influences of the infidel society around them. Two years earlier, on a visit to Germany, Erdogan had loudly proclaimed that for Turkish immigrants to integrate into a western nation was a ‘crime against humanity’ : an interesting definition of ‘crime against humanity’ for a man who has, in recent years especially, continually bombed the Kurds. Yunus became a hot issue in Turkey. The parents appeared on popular TV programs. The Erdogan government, along with its supporters in the media, immediately began a campaign of vilification against the decadent Netherlands. An Islamic boy had been taken away from his parents by the Christian infidel and what was worst of all – horror of all horrors! – raised by two lesbians. At no point did the Turkish government or media ask themselves why Yunus had been taken away from his parents in the first place. The Turkish media proceeded to blow the story up until it became a story about a western Christian outrage against Islam and Turkey. Emotions ran high. Blatant anti- western sentiment and homophobia became a routine part of the media diet. Coincidentally, Erdogan was due to visit The Netherlands a week later. This had been arranged months before. Erdogan now saw his chance to use the visit to play the role of Defender of the Faith; to emphasize his Islamist and Turkish hard-line credentials. The man knew no other way of operating. A protest demonstration by the Turks living in Rotterdam was planned. When he landed, the areas where the Dutch Turks lived in Rotterdam were festooned with Turkish flags. Erdogan arranged to go to Rotterdam during his visit to The Netherlands and meet the demonstrators and of course, sound the war cry. In the meantime, after receiving death threats, Yunus and his foster parents went into hiding. 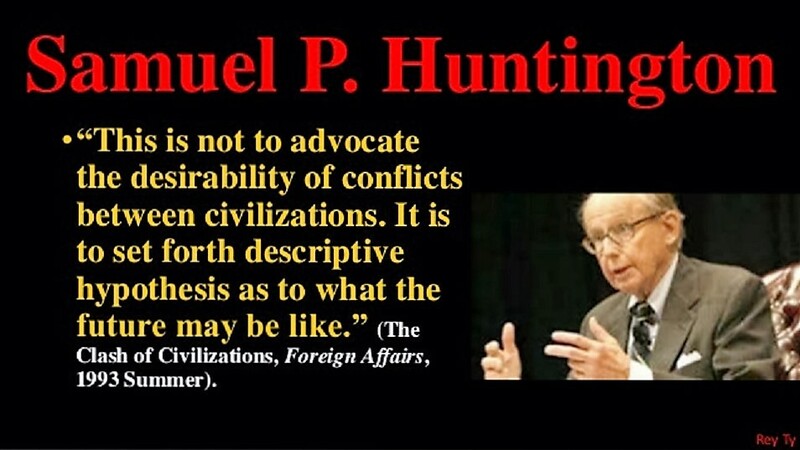 In 1996, an American political scientist named Samuel P Huntington wrote a book called ‘The Clash of Civilizations’. In the 1990’s, in the wake of the fall of communism, there was a lot of talk about the rise of a ‘New World Order’. The West led by the U.S. had defeated communism after 45 years of Cold War. In a mood of triumphalism, various American pundits predicted the emergence of a largely stable and peaceful world built around the capitalist free market and democracy. Francis Fujiyama wrote about an ‘end of ideology’, an era where there would be no great causes to divide the world. The human race would concentrate its energies on creating growth and getting ahead. It’s hard to imagine these days how the Americans could have been imbued with such hubris – which ultimately led to the fiasco of the invasion of Iraq. Huntington strongly disagreed with this mood of triumphalism. He did not see an ‘end of ideology’ in sight. He was a bit of a party pooper in other words. In his book, he argued that the old bipolar world, the West versus Communism, would be superseded by new kinds of rivalries. These new rivalries would not be based on contemporary ideologies but instead, by far older, deeply embedded values. He identified certain ‘civilizations’ which were bound to misunderstand one another and likely to come into conflict. These civilizations were: China, India, Latin America (including central and south America), the West (north America, Europe, Australia and New Zealand) – and Islam (the middle east, northern Africa, Indonesia, Pakistan etc.). Huntington argued that there were certain liberal values inherent in western societies – secular government, a free press, individualism and freedom of speech – which put them at odds with the other civilizations including the Islamic. Huntington’s book was well written and erudite and it was widely applauded and discussed. Then came the attacks on September 11, 2001. It was afterwards that the West, once again led by the U.S., launched a campaign against Islamic terrorism personalized in the form of Osama Bin Laden and his organisation Al Qaeda. In this highly charged atmosphere, it was the Islam part of Huntington’s book which famous all over the world, albeit in a way he never intended. Concerned about the danger of discrimination against Moslem immigrants living in Western nations, certain voices argued that the war against the likes of Bin Laden and Al Qaeda was a war on terror and not the religion Islam. Fanatics such as Bin Laden misused religion they said, whose actions had nothing to do with Islam – never mind what the extremists themselves very publicly claimed. The fears of a war against Islamic fanatics leading to discrimination – and worse – against peaceful law-abiding Moslem immigrants was far from imaginary. There were some very legitimate concerns here. Yet Huntington himself became a casualty of the post September 11 era. In the ideological debate between those who argued that terrorism had no connection to Islam and those who argued that it certainly did – and called for the West to stand up for its values – the term ‘clash of civilizations’ took front stage. In their campaign to discredit the critics of Islam and brand them as fear mongers and racists, mainstream politicians, journalists, academics used the term ‘clash of civilizations’ as a useful catch-all term. Very few of them ever bothered reading Huntington’s book and so Huntington’s term, taken completely out of context was used as a popular means of declaring one’s multicultural credentials and to promote the idea that there wasn’t any inherent conflict between the West and Islam; it was used to advance the cause of peaceful coexistence. To publicly reject the ‘Clash of Civilizations’ became a litmus test of one’s decency – it still is. 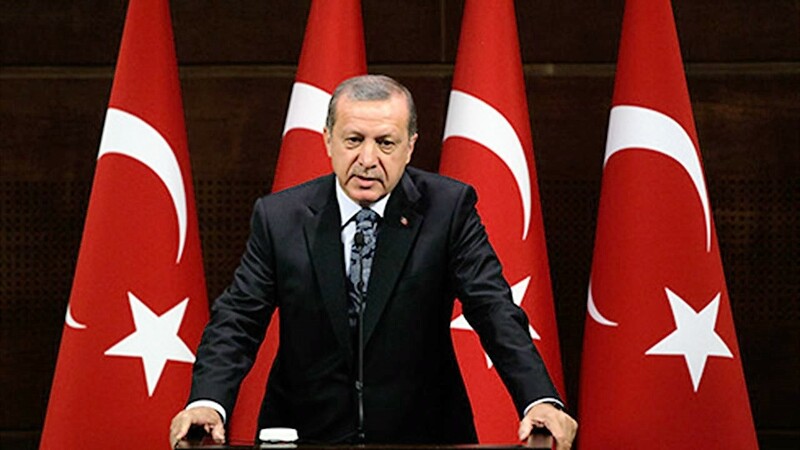 It was during the Yunus affair that a terrible irony surfaced, unmistakable, ugly: whilst Western leaders loudly embraced the idea of peaceful co-existence, it was the Islamic fundamentalists – including Erdogan – who specifically rejected it. A ‘clash of civilizations’ was basic to their idea of Islam, to their politics and their world view. Erdogan’s Islamist party and the Turkish media used a 9-year-old boy to emphasize the corrupt, immoral values of the ‘Christian West’ (as if the people in The Netherlands were Christians) and to underline the outrage which the infidel had committed against Islam. They went out of their way to whip up mass sentiments of anger and outrage: to emphasize a ‘we’ and ‘them’ stereotype. Behind it all was a powerful need to use any pretext possible to portray the ‘Christians’ as the enemies and oppressors of Moslems. It was the Erdogan government which in other words, lent unequivocal support to Samuel P. Huntington – the very same man who was viewed with obligatory disapproval in Europe. How prophetic Huntington has proved to be – this in a way no one could have imagined at the time. With the Yunus affair dominating the Turkish media, Erdogan arrived in The Netherlands ready to ‘defend the rights of the Turkish community’. He demanded a guarantee from the Dutch Prime Minister that there would be no more cases like Yunus in the future. He failed to get a satisfactory answer. The fate of Yunus, he was politely told, was an internal affair of The Netherlands. It was really none of Turkey’s business. Outraged, the self-styled Sultan got on the next flight out – he had been in The Netherlands for less than 24 hours. In the Turkish media, howls on indignation went up: this was proof of the kind of oppression which Turks in Europe had to endure. The demonstration in Rotterdam was called off. On the face of it, in trying to force the Dutch government to capitulate to his demands, Turkey’s strong man suffered an ignominious defeat. In actual fact, the Yunus affair marked a historic line -in- the-sand. It was the opening shot, as it were, of a war against The Netherlands and, Western Europe. In the following years, the Erdogan government steadily intensified its influence over the Turks living in The Netherlands. It systematically interfered into the internal affairs of another sovereign state in a way it would never have countenanced if it had been the other way around. In turn, Turks living in The Netherlands rallied around the cause. Interest groups, subsidized by the Dutch government, became mouthpieces for the Erdogan regime. Separate clinics and hospitals for Turks were established. Mosques and Islamic schools became increasingly aligned with the ‘Father’ and the ‘Fatherland’. A Turkish political party, openly aligned to Erdogan, appeared and soon won a wide electoral support. Turkish journalists aligned to the Erdogan regime (the other kinds of journalists were in gaol, along with thousands of teachers, judges, soldiers, bureaucrats and Kurds) came to The Netherlands and sent back lurid reports about the ‘oppression’ of the Turks in that country. In Turkey no kind of opposition or diversity was possible – this became true also within the ranks of the Turks living in The Netherlands and elsewhere in Western Europe. In the Turkish elections held in 2015, over 70% of the Dutch Turks voted for Erdogan. Xenophobia reigned supreme within the Dutch Turkish community and those Turks who criticized Erdogan became the target of death threats and violence. No one realized it then, but the Yunus affair was an omen of events to come. A regime based on the notion of a Clash of Civilisations would succeed in exercising its will over an open, secular, democratic society which emphatically eschewed a ‘them’ and ‘us’ mentality; which embraced diversity, multiculturalism and co-existence. A nation where xenophobia and human rights abuses were commonplace would prove to be more powerful than a nation where reason and tolerance reigned. In this setting, no Dutch couple, be they hetero or gay, would ever think of adopting or caring for a child from a Turkish family. That would be to invite trouble. But more to the point, the whole idea of multiculturalism, of people from different ethnic or religious backgrounds comingling, marrying one another, and integrating into Dutch society – was dealt a death-blow by the Turkish Mussolini. And so the chances of there being any more kids like Yunus – a truly multicultural person – were slender indeed. 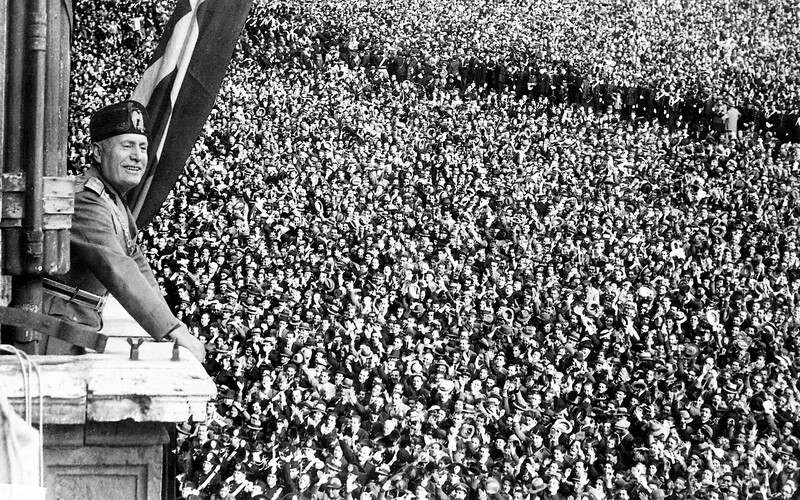 Like Mussolini, Erdogan is a popular dictator who has instituted a one man, one party state. In the meantime, western leaders turn a blind eye to this obvious example of fascism because Turkey is regarded as an ‘ally’ and ‘friend’. It is a member of Nato and is strategically important to the West.